Midwest Old Threshers has a number of facilities that are available for rental. There is only one facility which is year-round usage, with heat and air conditioning, The Theatre Museum. For further information or to set up a time to view the facilities please contact Old Threshers at 319-385-8937. Individuals renting a facility are required to write a rental fee check and a deposit check (the deposit check is returned after the condition of the facility is reviewed by staff). Facility users are responsible for cleaning prior to usage and must leave facility cleaned and free of refuse. Decorating can be done with prior permission from staff. 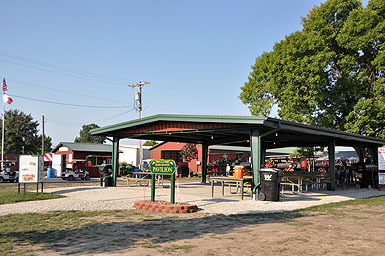 Beer and wine (no liquor by the drink) can be served in some facilities with permission from Midwest Old Threshers and the City of Mount Pleasant (if the facility is in McMillan Park). Individuals will be issued keys for the facility that must be returned prior to the condition review by Midwest Old Threshers’ staff.